The violin is perhaps among the most beautiful of musical instruments in both sound and appearance. A mere picture of violinist playing – or even just the instrument itself – conjures lovely images in the minds of anyone who appreciates fine music. Rosin – You probably knew you needed this; it’s mentioned in John Denver’s “Thank God I’m a Country Boy” (“When the work’s all done and the sun’s setting low, I pull out my fiddle and I rosin up the bow…”). Virtuosos with names like Perlman and Hahn of course use rosin too, of course – it’s an essential substance that creates friction on the bow that produces sound when in contact with the strings. If there is no rosin, there is no sound. Shoulder rest – The violinist never rests, but a little bit of spongy material attached to the underside of the instrument at least makes playing a bit more comfortable. It does this by keeping the violin from slipping and creates an overall ergonomic benefit. A related item, placed on the topside of the instrument, is the chin rest. Tuning fork – While very “old school,” the tuning fork (generally set to the A note) is a reliable, low-tech way to tune the violin. This is increasingly important for the player when joining an orchestra or chamber ensemble. Fine (electronic) tuners – Very easy to use are electronic tuners, many of which also have a metronome built in. Again, acquiring a sense of perfect pitch is part of what makes for better instrumentalists of all kinds. 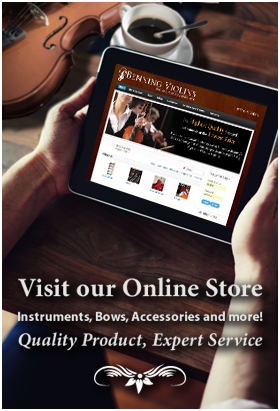 Backup strings – Many things in life are temporary, and violin strings are among them. Made of horsehair, an organic material, they simply will fray and break with playing. Instrumentalists who are serious about their playing will always keep a backup set on hand for when that happens. Mute – For the beginner, a mute might be useful to enable quieter playing. (Perhaps there are two or more musicians in your house who want to play at the same time?) But they are also required in orchestras for some scores or at the whim of the conductor. Music stand – An inexpensive item – as are most accessories – this enables better posture and helps the musician prepare for orchestral play. Conclusion: Don’t be intimidated by the complexity of these items. Just consider the learning you had to undertake for driving a car, adding the proper fuel, or tending to its maintenance. If you’re a homeowner, you know homes require attention to repairs and parts to function properly. 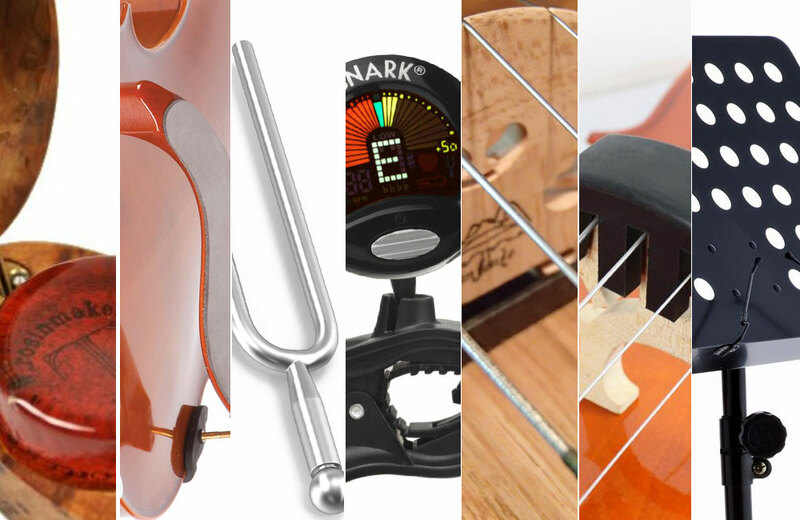 Violins along with all other stringed instruments need accessories such as these to help the player explore the full range of what makes beautiful music.